....so goes the old rhyme. Sounds like an apt theme song for some of the goings on in Kerala's infrastructure sector these days. The most glaring example of this rather shambolic state of affairs is the much talked-about Kerala State Transportation Project. An ambitious project to upgrade the godforsaken Main Central (M.C.) Road to world class standards, it has been let down by poor contract design, bad programme management and almost non-existent responsibility shown by successive Govt.s. While it is true that systemic negligence by the previous UDF Govt. resulted in the current state of affairs, there is no denying that there is an even deadlier systemic organisational failure inherent in beaurocratic-political circles which determine the fate of our State. The same failure of the Government red-tape factory to properly manage projects is evident in the delays suffered by the Capital Road Development Project (CRDP) or in the many industrial parks that lie vacant across the State. So what's going wrong? One would expect a State with the best educational system in the country to produce the best administrators, who would be lead by the creme-de-la creme, our beknighted IAS officers. Funny that they should forget basic things like the fact that land acquisition is needed to widen roads or that some sort of basic promotion is needed to "promote" industrial development. It's shocking to see that in the 18 months which have elapsed since the inaugration of CRDP, to much fanfare, the powerful machinery of the State has managed to acquire a scant 25% of the land needed for the project or the grand total of 10 acres. In lesser periods of time, 10,000 acres have been acquired in less enlightened states. Maybe it is the enlightenment which is the issue, especially since the land concerned is the middle of the city and litigations have been flying thick and fast to stop acquisition in its tracks. However, these same officers of the State were armed with a lot of advance warning as well as a plethora of Govt. orders and ordinances empowering them to acquire land. Wonder where all of that got forgotten? Not that the State is too adept even at handing over land in its direct control. If one motors down the Palayam - Airport corridor, we almost run into, quite literally, a wall just before the Pattoor Church. The road here is supposed to be widened using land from the graveyard of the land in exchange for fallow land from the campus of the Kerala Health Service Dept. 's lab next door. However, the land transfer and the requisite dusty files have gotten lost somewhere in the labyrinth of Government. So, this small plot of land remains the last obstacle for the completion of the Airport - Palayam Corridor, so often used by the high and mighty of the land! Somehow, the Govt. seems to be curiously out of shape, whenever it interfaces with the private sector, be it private contractors like Punj Lloyd or Pati Bhd, or investors like Infosys, L&T and so so many others. It's not that the babus in other States were much better. However, it could be that States like Maharastra, Delhi, Andhra, Karnataka and Tamil Nadu have been historically attracting more investment. Also, Kerala's Govt.s, from both fronts, have traditionally have had more of a socialistic flavour than most States and hence has been focussed more inwards, on the welfare of the people, rather than outwards, to attract investment into the State. Well, the story of Kerala in building up key human development indicators to the standards of Developed nations is legendary and quite laudable. However, eventhough I am a pronounced Leftist, I believe that the best way to generate the resources with which social equity can be built up, is the that other great ideology, Capitalism. Thus it is well nigh impossible to avoid engagement with the modern business machine. India's other frontline states have gotten used to this a while back, as is evident from their business-friendly policies. Some may argue that the flow of rupees has bred corruption on a rampant scale and smoothed the way for business empires in other States, possibly at the cost of the great majority of the populace. This is may be true to an extent, but it is certainly the case in Kerala as well. Look at scams like the so-called "Smart" City scheme during the tenure of the last Govt. But I believe that there are strong moves to evolve business promotion strategies elsewhere. States like Maharastra, Gujarat and Tamil Nadu have set up very effective Industrial Development organisations as well as instituted strong legislation and policy to help them. Kerala claims to have done the same, yet there is very little to show for it. The one notable success is Technopark, but that too could have been much better off. During the course of my work as a management consultant, I have worked with a multi-billion dollar construction firm and have seen the workings of industrial development corporations and infrastructure projects which often contract large construction firms for the work. There is a level of professionalism which such organisations have developed to manage projects of such magnitude as well the weighty responsibilities of ensuring the development of their states. Gujarat for example, has set up massive pipeline networks, power grids, waste treatment facilities and a whole host of infrastructure and reaped the dividend, very nearly unseating Maharastra as the industrial hub of India. Not to say that things have been perfect all the time. The land battles are Kalinga Nagar (in Orissa over a Tata Steel plant) and now at Singur (in West Bengal, over a Tata Motors car plant, or the messy disputes over land and infrastructure in Bangalore (mainly courtsey a certain Mr. Gowda & Co.) are cases in point. However, these are blips in an otherwise positive picture, while in Kerala the opposite is true. There are a few positives in a sea of inefficiency. For instance, it has taken over two years to hand over land to Infosys Technologies in Trivandrum, despite all the attitude and bluster shown by the last Chandy-led govt., with its so-called "investor friendly" aim. Or the little matter of the 3 years it has taken to acquire a measly 27 acres of land for the New International Terminal of the capital city's airport. And perhaps, to seal the argument, that fact that it has taken over 50 years for Kerala to realise that it had India's deepest port awaiting development, just a few kilometers from the offices and houses of the supposedly enlightened decision makers. States like Gujarat have developed multiple deepwater ports in as many months! So, what can be done to remedy this rather set of circumstances? Well, a lot actually! And it is nice to note that the present Govt. seems to be interested in doing some of it. The main purpose is to incorporate the benefits of professional management techniques into governance while not totally becoming overawed by the profit motive. - Professional managers to run the State's developmental corporations. Currently, almost all such organisations are run by political appointees or civil servants who have little or no grounding in the techniques of modern business, despite the fact that these entities interace with large firms either as a customer or as a service provider. GoK has currently instituted a panel to recruit managers, but with constraints on pay packets, it remains to be seen how many people can be hauled in. - Raising funds from the market to fund projects. With the Govt. cash-strapped, additional resources have to be raised from the market. With infrastructure being one of the "hot" sectors in the market these days, this is probably easier done than said. CIAL has been a success story in this respect, although funded mostly by institutions, including Air-India. GoK has decided to approach the market for an Special Purpose Vehicle (SPV) to develop the Technocity project and IT Corridor in Trivandrum. - Operating independence for SPVs. 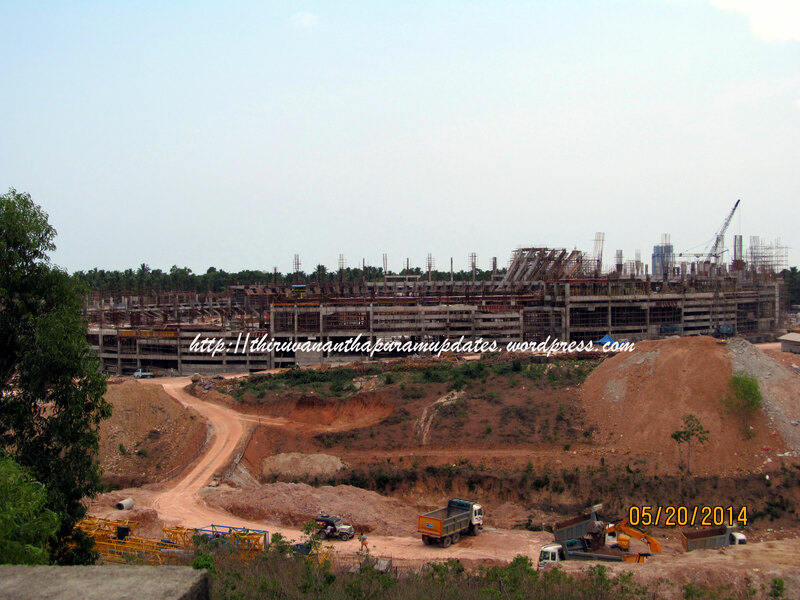 Vizhinjam International Seaports Ltd. is an SPV created for promoting the $ 1 billion Vizhinjam deepwater port project. It has a highly competent,professional CEO at its helm. However it could do with a lot more independence and authority. Somehow, the babus often feel that even pens and paper should only be bought after forms filled in triplicate, far less $ 1 billion projects. This has to change. Let the professionals do their work in peace, I say! - Project Management organisation to manage all large projects. Large infrastructure projects like KSTP or Vizhinjam are rare in Kerala till date but commonplace in the rest of the country. Compared to the Rs 1,60,000 Crore National Highway Development Programme (NHDP), KSTP is like a driveway! NHAI, the implementing authority for NHDP, uses an international contracting standard called FIDIC to manage all its contracts and has dedicated project management teams to look after each package. I wonder if all of this was followed for KSTP and even if it was, it remains to be seen (postmortem) what was the efficacy of its application. - Capable system to promote Kerala as investment destination. Rather than holding one-off and ultimately useless "Global" Investor meets, more money and effort needs to be spent on a coherent message for the entire state. There has been a pronounced attempt to promote a certain city as the only investment destination in the State. For example, IT co.s are being told it is the "IT Hub" when it is distant second, with less than 20% of the IT exports, 30% of the builtup space and 20% of the IT workforce of the State. The move to shift "IT Kerala" from Trivandrum, is like Karnatake shifting "B'lore IT.in" from Bangalore to Mysore, lol! These sort of things don't help anyone in the long run! In Kerala, we do not seemed to gotten over the fact that contractors are not just the small father-and-son outfits who did road patching and built "sarkar offices", but also giant national and international outfits with annual revenues bigger than the State's annual budgets. As projects become bigger and more complex, more capable organisations are required. The recent claims that a bunch of local contractors could have replaced the likes of Punj Lloyd or Pati Bhd are totally unrealistic, at best. Similarly, investors like Infosys or TCS are also short on patience and heavy on action. Keeping them waiting out of sheer inefficiency is not the best way to promote industrial growth, nor is dilly dallying with the development of the state's first and premier airport or its future top port. Let's hope that the powers-that-be learn from their disasters of the past and if set up a capable system to take care of the development of the State (that would be asking too much, right? ), perhaps they will take the first few steps in that direction. 's a shame the present generation of leaders do not have any vision of the future beyond their petty squabbles and narrow mindedness! Hype....or the lack of it!